1. Achieving peace and security and safeguarding the integrity of states in the Arab region is a priority, in accordance with the political declaration by the UN, which links development and peace, in the framework of international law and is governed by the UN System. 2. Providing services and protection for refugees in countries of refuge (the region contains 46% of the global refugee population) and working toward their safe and voluntary return to their original places of residence, according to international law. 3. Respecting national policy space, including economic and social policies, as a component of the right to development, and implementing governance standards and frameworks for monitoring commitments in a manner that enhances national ownership of policies, particularly under political conditions compatible with the framework of development cooperation. 4. 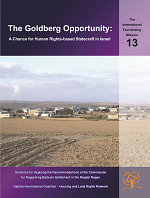 Adopting a new development paradigm based on the human rights approach and shifting from unproductive rentier economies to real productive economies that develop value-added sectors generating decent jobs, while adopting redistribution policies to reverse inequalities, social polarization and marginalization. 5. Adopting comprehensive and rights-based social-protection systems that ensure social protection floors that should include refugees, displaced persons and migrant workers. 6. Adopting comprehensive national integrity systems that guarantee the principles of good governance and fighting corruption, in the state’s legislative, judiciary and executive pillars, in addition to independent bodies, civil society, the media and the private sector. This includes regulating the relationship between and among those sectors and enacting laws guaranteeing a comprehensive approach to participation, accountability, transparency and disclosure, replacing a culture of violence and exclusion. 7. Granting due importance to addressing the cultural foundations of discrimination against women in our societies and in public policies, and protecting women, especially in times of war and conflict, while fighting the culture of violence and exclusion against women and girls. 8. Providing an enabling safe environment for civil society to practice its role freely and independently, and developing legislation that achieves that, including the human rights to information and freedom of expression, and institutionalizing its effective participation on the national level, in the Arab League, and in other regional and international forums. 9. 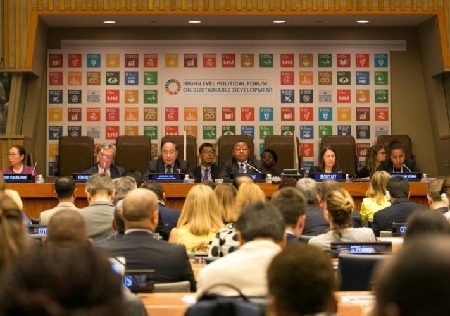 Establishing an Arab fund for sustainable human development (including the 2030 Sustainable Development Agenda), and establishing mechanisms for funding it through Arab sources, such as regional taxes on the use of natural resources (oil and gas), and financial investment and speculation among Arab countries. 10. Adopting an inclusive non-discriminatory development framework based on human rights principles enshrined in international instruments, particularly the Convention on the Rights of Persons with Disabilities, and the rights of other groups excluded from the developmental process, and taking appropriate measures to put this framework into practice. 11. Committing to the requirements of sustainability at the national, regional and international levels and by the private sector, while respecting the peoples’ sovereignty over their natural resources and right to adopt sustainable policies that safeguard the rights of future generations. 13. Implementing the recommendation of the 2016 Doha Meeting and the 2017 Arab Forum for Sustainable Development to identify a specific set of goals and objectives that reflect regional priorities, and to form an immediate work program for development parties in the Arab region. Civil society remains prepared to work on implementing this recommendation in partnership with all stakeholders.